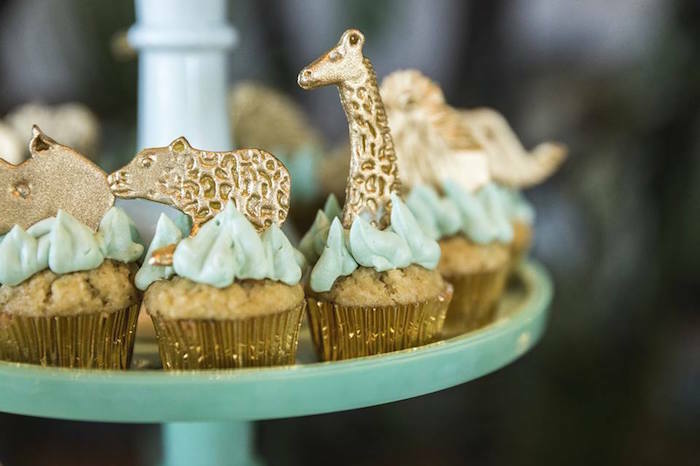 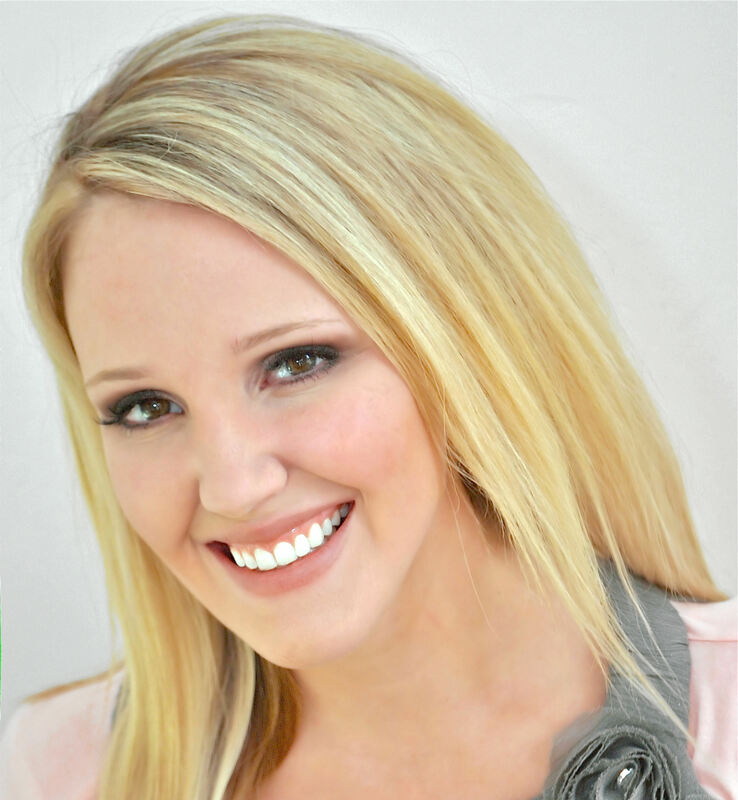 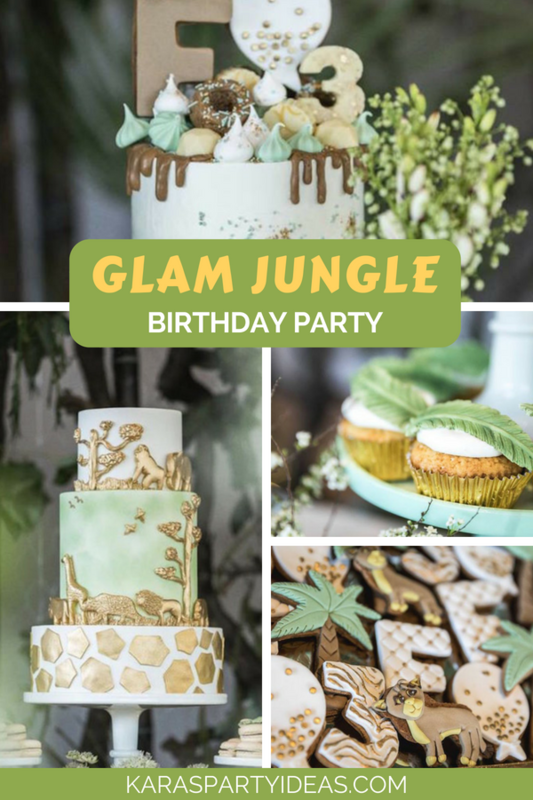 Swing on in and roar with might, this Glam Jungle Birthday Party, is out of sight! 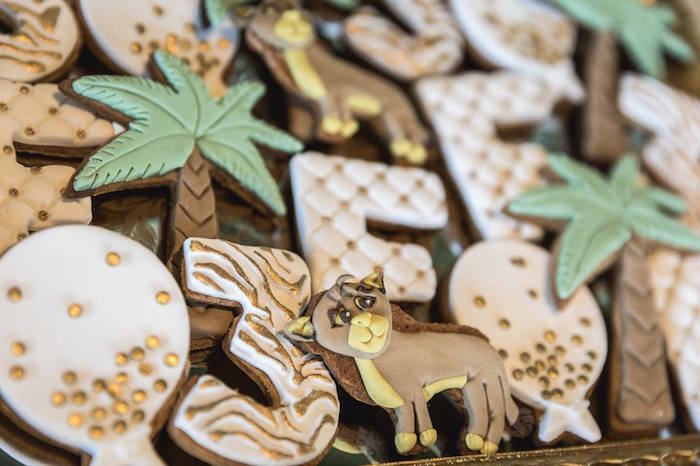 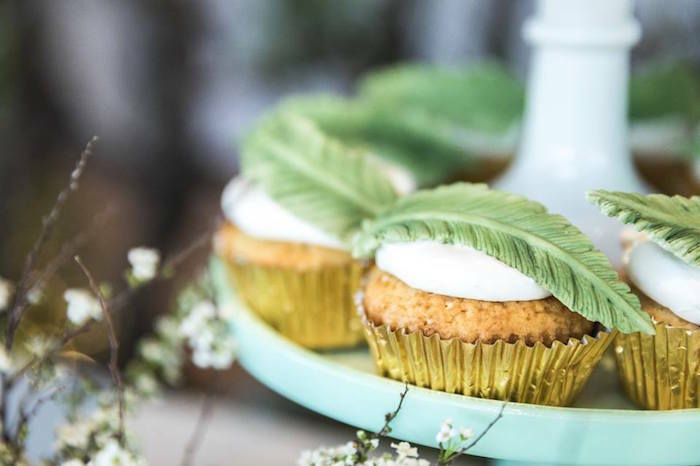 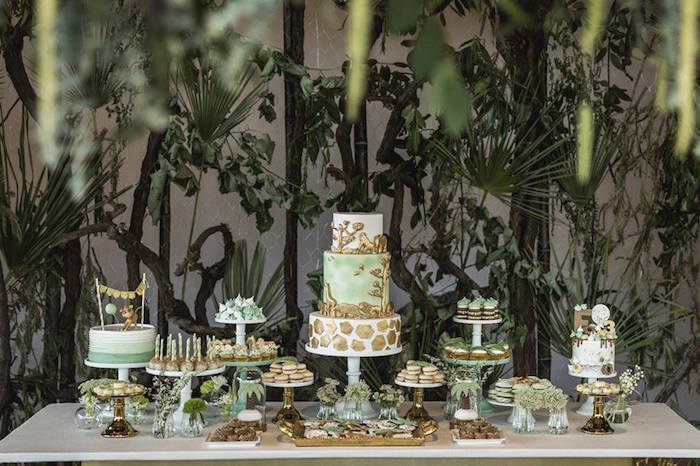 Styled by Francisca Neves of Cupcake, out of Porto, Portugal; this glam-tastic event is full of jungle fun ideas, sure to get you stomping! 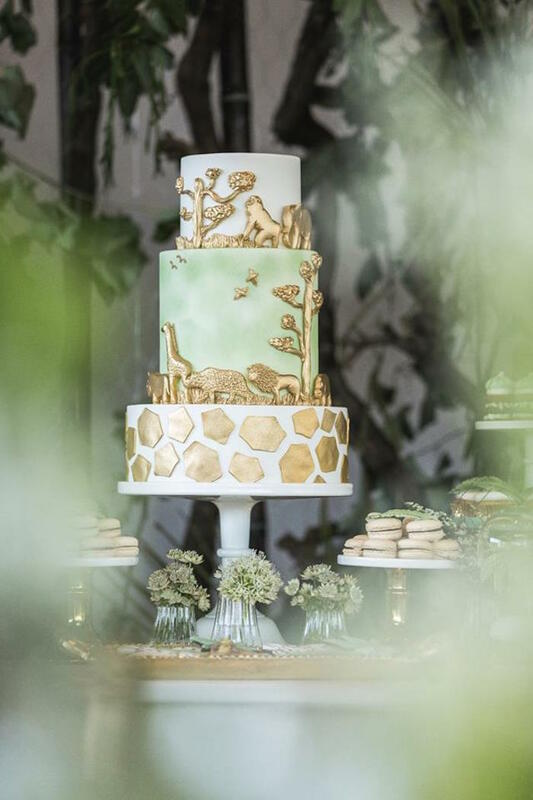 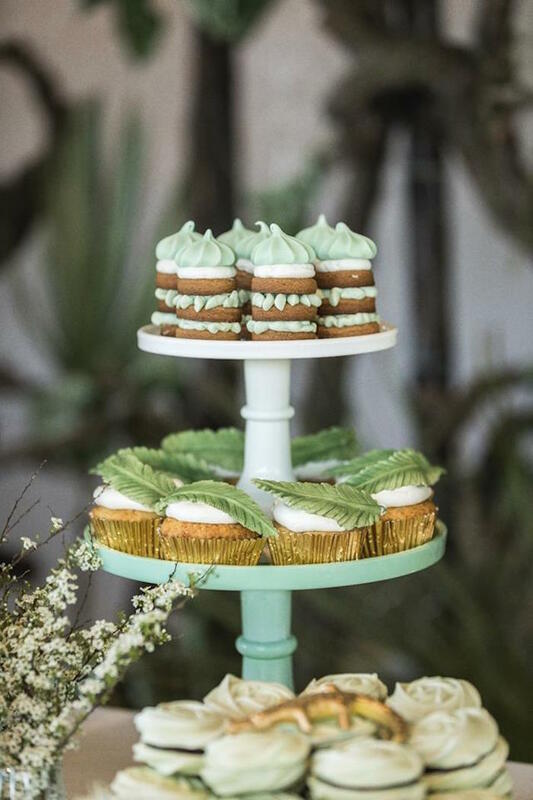 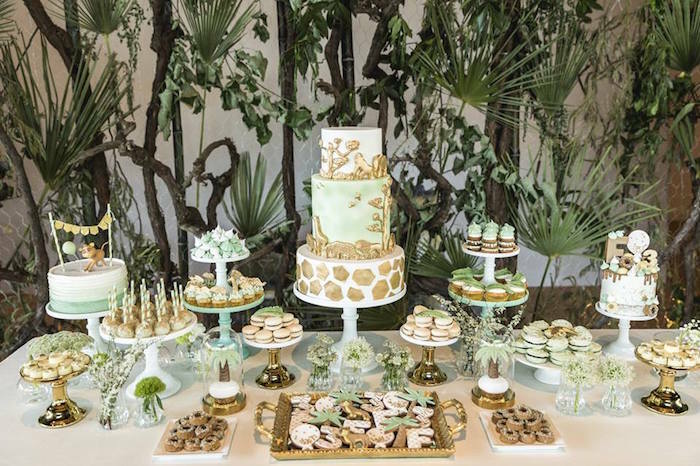 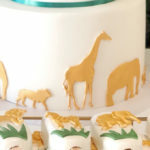 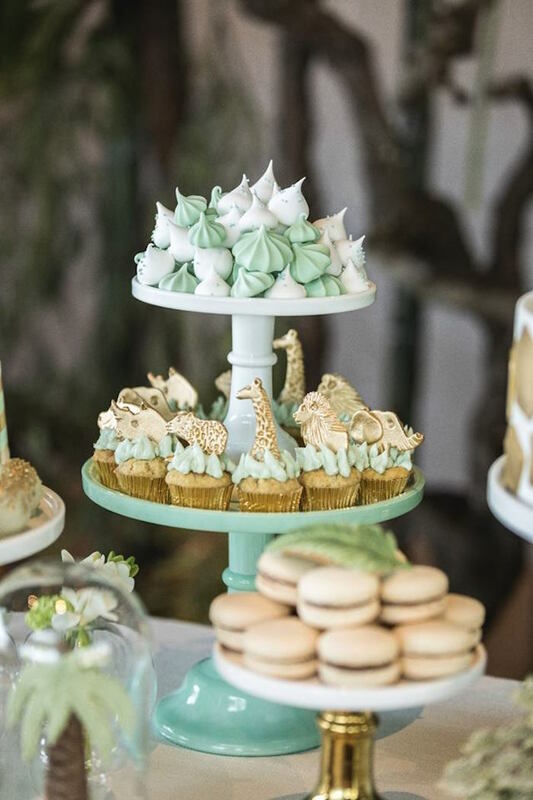 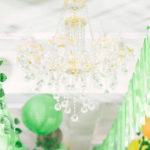 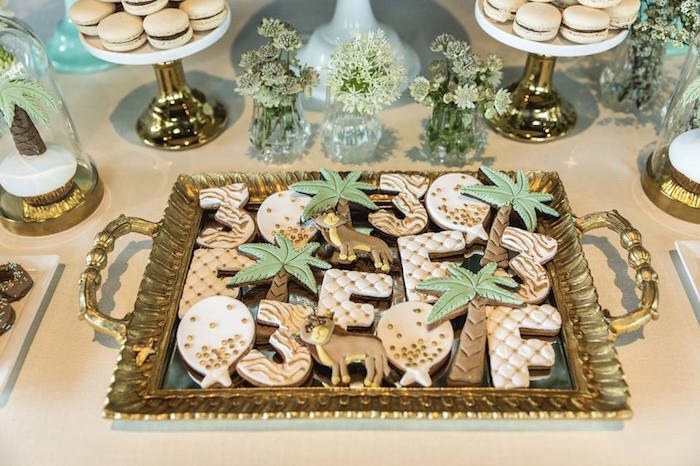 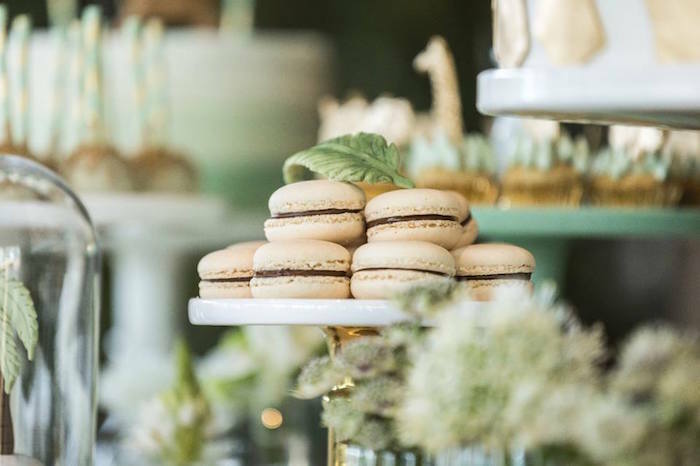 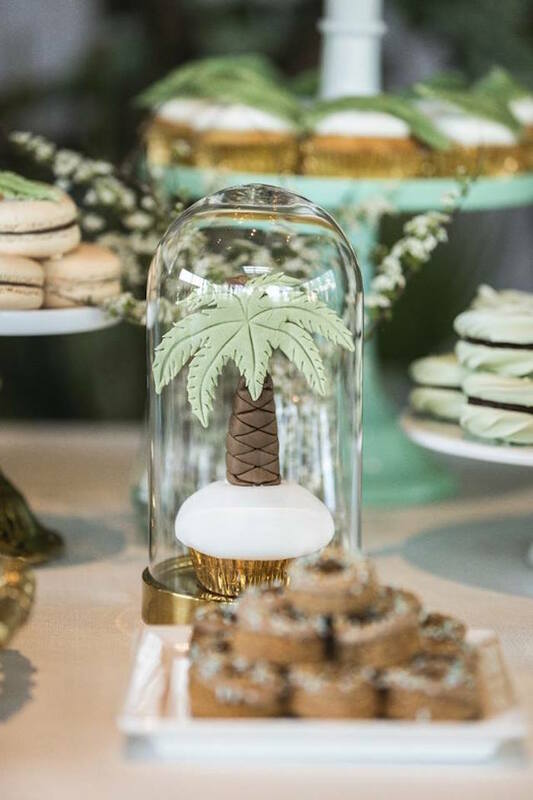 “I designed and baked this sweet table with the jungle theme and green, white and gold for the color palette because I intended for a glamorous jungle result. 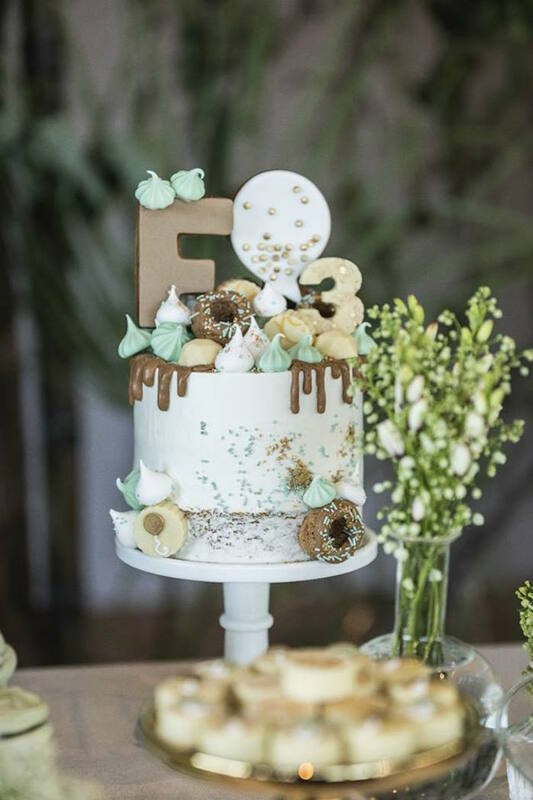 The cake was inspired by a cake from spring bloom cakes, and then I used all the details to match the rest of the sweets: chocolate and brigadeiro cake pops, spicy cookies, lemon meringue, Nutella macarons, fresh strawberries mini cupcakes, fresh raspberries and chocolate cupcakes, cinnamon mini donuts and orange with red fruits syrup cake. 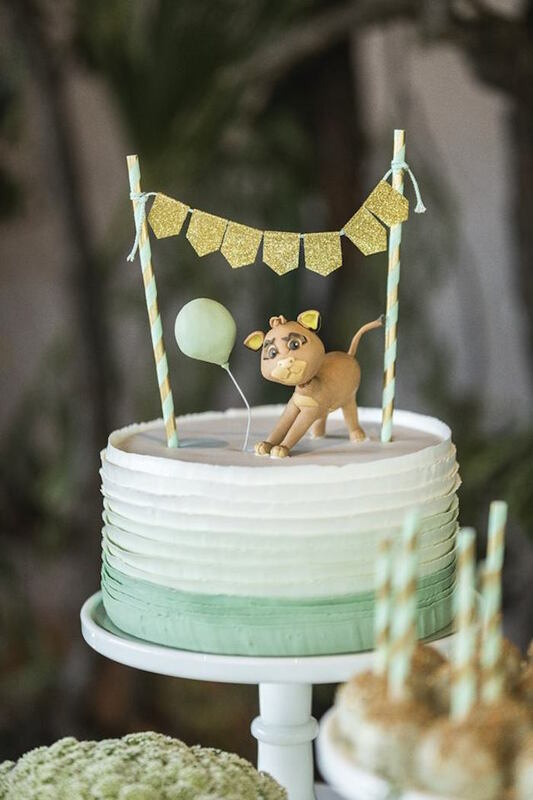 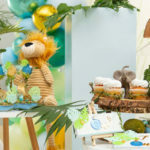 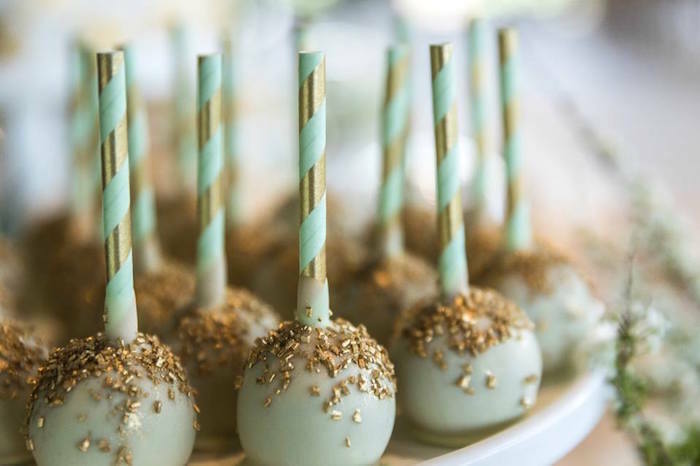 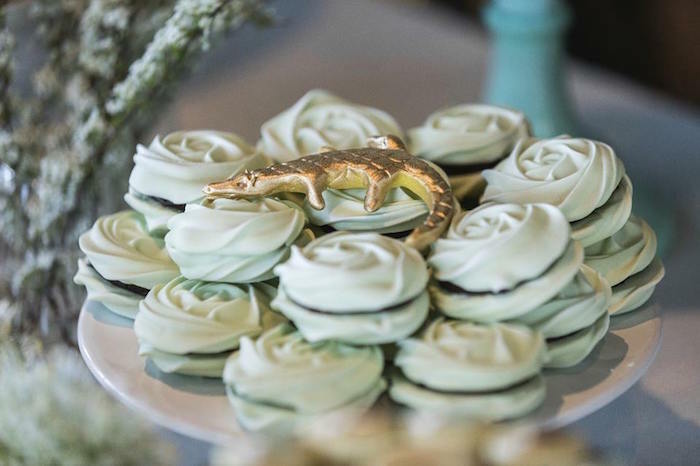 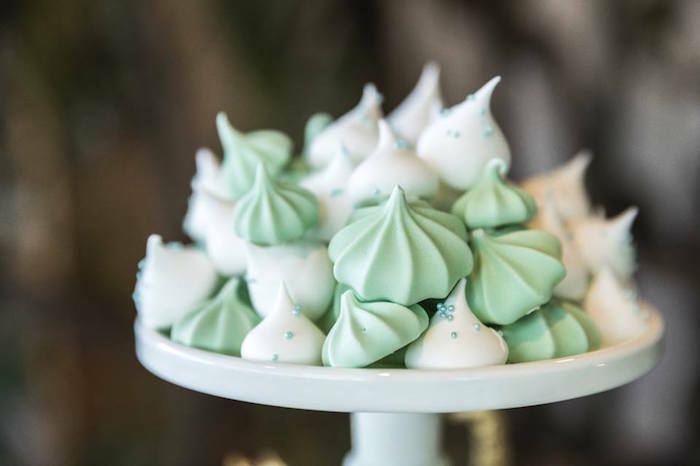 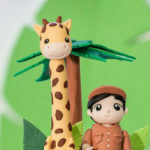 Don’t miss all of our Jungle Party Ideas right here!